Arrow Electronics distributes our embedded vision solutions and is represented at electronica with a large booth. We have the opportunity to present an exciting IoT demo, there. 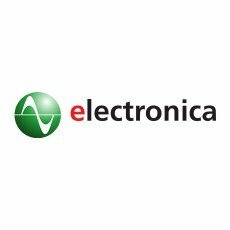 electronica is the world’s leading trade show for electronics in Munich and will take place from November 13 – 16 this year. We will show an embedded vision system where a trained neural network will be transferred from the cloud via pypylon with the help of Amazon Web Services (AWS). The camera will then be configured and controlled over the air (OTA). The embedded system’s image processing routine can also be changed over the air, so that a completely different task can be carried out. This remote adjustment of functions is demonstrated with a sample recognition of alternating Lego figures and toy cars. The IoT embedded vision system consists of a Qualcomm® Snapdragon™ 820E ARM processor and a camera module from Basler, the dart BCON for MIPI. With the IoT demo, we are showing the flexibility of a real application that is based on an ARM-based IoT embedded vision system. You can look forward to an exciting IoT demo, where the fast adaptation of an embedded system shows the potential of this technology. Stop by and see for yourself! Basler at the Arrow Electronics booth in the “Arrow Software Solutions” area: Hall C4.412. Find us also at the booth of our partner congatec: Hall C4.412. Learn more about Basler’s products for embedded vision applications at www.baslerweb.com/embedded. Still have questions? Our Sales Team would be glad to provide advice.